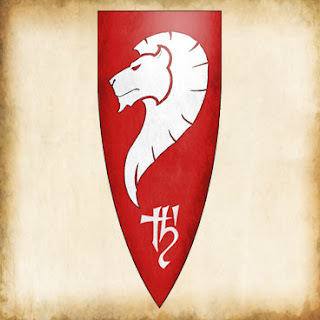 I picked up a box of the new and amazing looking White Lions this weekend, and used my 'Ard Boyz round 2 prize support for more White Lions and Dragon Princes... so High Elves are my next Fantasy army! 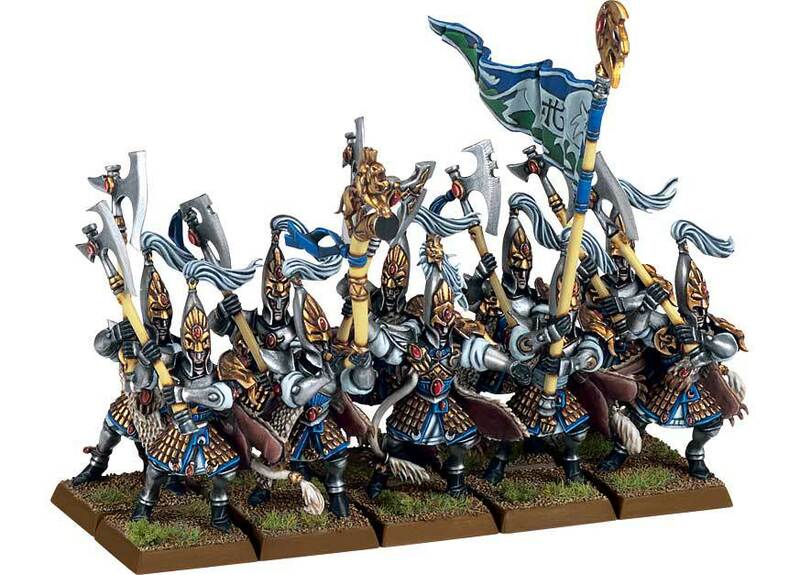 I like the idea of an elite army to be a break from the massive Skaven hordes. There seem to be a good amount of High Elf players in my area lately after the new edition and Island of Blood, but with the new miniatures I couldn't resist. The plan is for a White Lion heavy list. They really are my favorite unit. And today there is a great new article on Games Workshop's website with the Color's of Ulthuan. I was already thinking about a nice red and gold color scheme for my army. But the article makes it perfect to run them as Aryth Pass Guard! The Aryth Pass is one of the secret pathways through the mountains of Chrace, and the 4th Company of the Aryth Pass Guard's color's are red! As for a preliminary army, take a look at this and please critique. This is to fit with the Chrace and the 4th Company Aryth Pass Guard. I would add more eagles. Even if there are no warmachines to hunt, they are great to force people to accept charges. A few 22 inch chargers can catch fleeing units or at the minimum force them to run a 2nd time, perhaps off the board edge. Full command on a 5 elf Dragon Prince unit is probably a waste of points. I would rather have 6 of them with a musician. 6 with a Musician is actually 10 points cheaper too. I don't really like units of White Lions larger than 20-ish models. Only 2 ranks can fight and they are pretty expensive. I find that 20 and 30 feel pretty similar on the table. Now if you were planning on running them as a horde, that is an interesting idea. Let me know how it works out for ya.